If you think candy should include more hurdles in order to enjoy it, like seeds and pith, then this is the fruit for you! 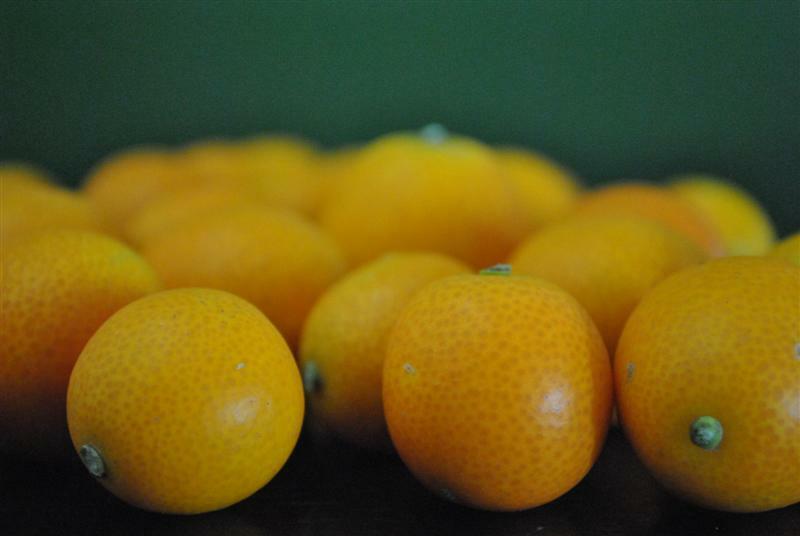 Meiwa Kumquats are not your average kumquat. First of all they are round instead of oval and they are much harder to find. I suppose you could stumble upon them easily if you had access to the ever popular Kumquat Festival in Dade City. This site gives tons of information about the festival such as no date, no location, and a whopping one out of four stars rating. BUT, it is a “fun packed family event that lasts for a day”. 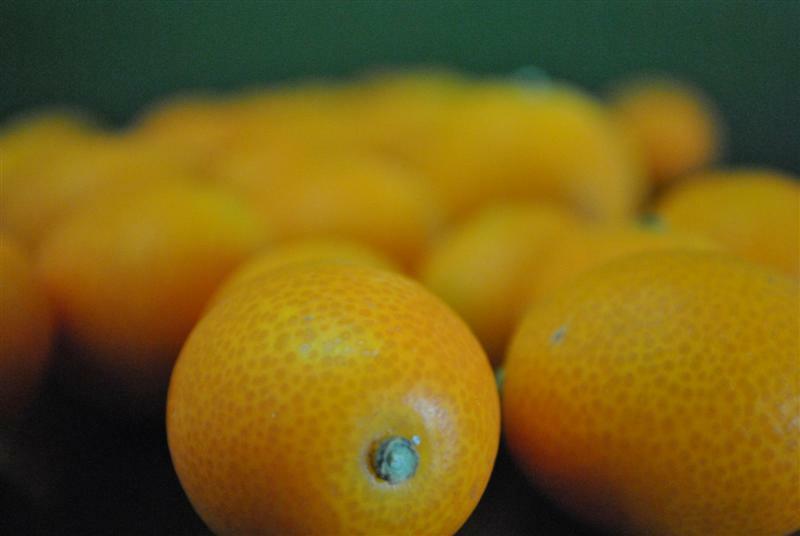 Oh – and did I mention it is completely dedicated to Kumquats? Yeah – that’s my kind of event. Where’s my party hat? Small, round, orange fruit with a good number of seeds. Firm, almost crunchy and a bit fibrous. Not particularly juicy. Nice complicated sweetness with bits of sour juice and a slight bitterness in the peel. 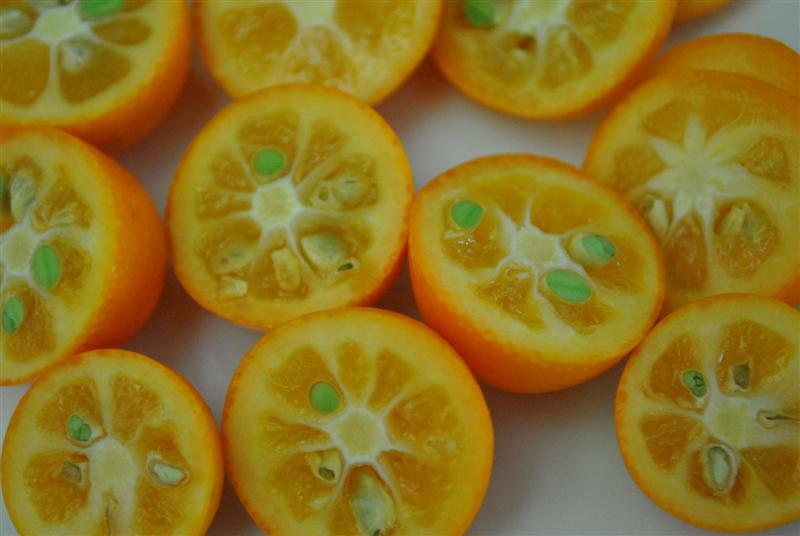 I live in Texas and cannot find a source of kumquat trees that will send to Texas. Seedless varieties exist, like the Nordmann. 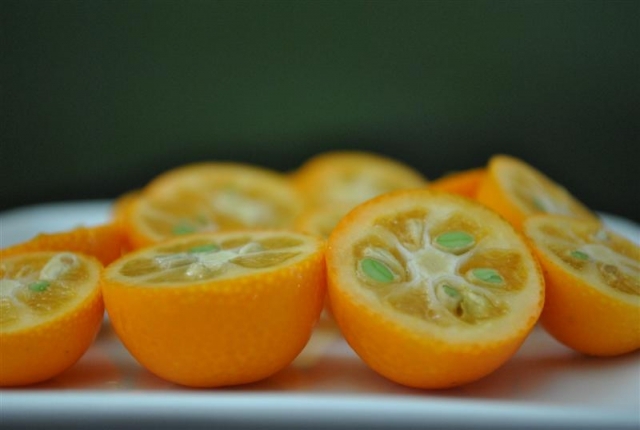 Seedless varieties exist, like the Nordmann nugami. Yeah Nick – I’ve had the Nordmann once and you are right – no seeds. But unfortunately the flavor didn’t really appeal to me. I only got to try one though – so who knows. I’m definitely hoping to stumble across some of those again where I can get at least a handful. You will be greatly rewarded if you take about 10 seconds to cut if in half and flick out the seeds with a knife. They’re addicting! Loving the spring Roy. My only worry is triyng to keep up with all that’s happening with the garden and triyng to blog it all as well.A friend gave me some Kaffir Lime leaves on the weekend so I’m brewing a Cooper’s Mexican Cerveza with them in it.We’ll wait to see how it turns out. There seems to be an endless amount of things that we can do with citrus trees.